My ultrasound this morning showed my lining at 6.5 mm and my largest follicle was 10mm. I am on day 8 so this is pretty good news for me. I tend to ovulate late so the fact my follicle is 10mm already makes me happy. They like my lining to be 8-10mm and will trigger me when my follicle is 18mm. I would say they will probably trigger me in a week or less. I think after the trigger I will be doing the transfer one week later. Our frozen embies are five day blasts. This is all so exciting! I hope on turkey day I have something really to be thankful for! I am scheduled to go back in for my second monitoring appointment Thursday! So many emotions going on right now. Does anyone else find themselves really anxious during a FET or IVF? It is like the closer I get to transfer day the more and more anxious and nervous I am. I wish I was one of those people that when I got anxious I went on some crazy cleaning spree but instead I usually tend to turn to food. I should see if I can change that this time…..but what would be a good outlet I could do when I get anxious? Hmmm…..
My work was closed today because of Hurricane Sandy is on her way. It is supposed to be a nasty one. We have prepped….took everything inside or tied it down outside. I can hear the wind howling outside. Last year this same week we had a nasty Nor’easter. The good thing is I am lucky to be home with the fireplace blazing and safe and sound. Since yesterday was a recovery day I did not do a thing. So I managed to get some cooking done today. 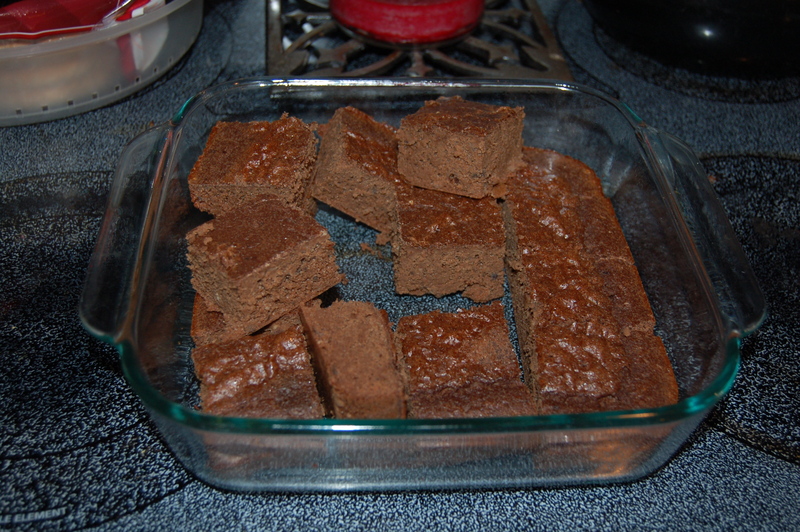 I made some chocolate protein bars and Jamie Eason’s Monster Meatloaf. 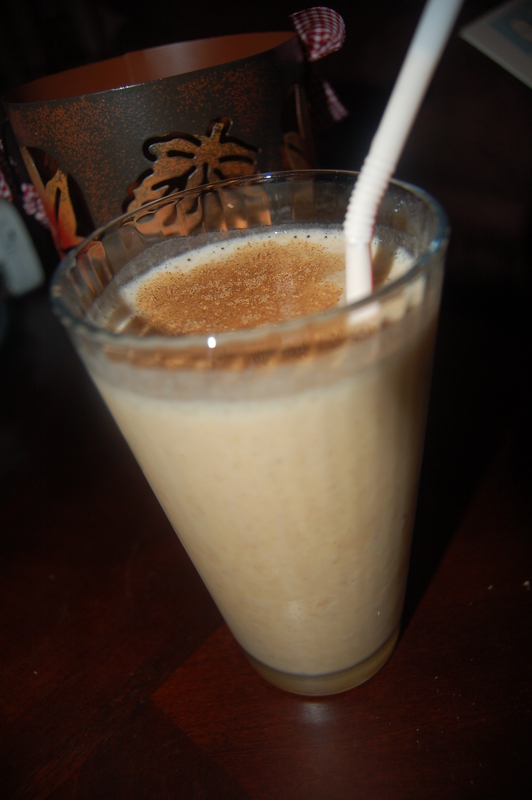 I also came up with a Pumpkin Pie protein shake. It was pretty good. I am hoping we can manage getting through the storm without losing power. We had cable issues this weekend so I was without internet all weekend. Not gonna lie…it was painful. I also hope they cancel work again tomorrow! I am off Friday so that would make for a very nice, short work week! I think it is going to be an early night for me. Snuggling up in bed with my kindle sounds pretty damn good to me. I better charge that puppy up before it’s too late. I am feeling much better today after yesterday’s horrid biopsy. I am a bit crampy but overall much better. I went to get blood work this morning to check my TSH levels and for karyotype testing. They called me back and said my TSH is good and to remain on the same Synthroid dosage. Now it is just a waiting game for karyotype results. Once those come back we can move ahead and redo my day 3 blood work. A lot to get done before we can even begin FET #2. I am so impatient. I am pretty addicted to Jamie Eason’s Protein Bars and her Turkey Meatloaf Muffins. They have become a staple in my daily eats. I find them both great as a go to snack rather then chips or something worse. The protein bars fill my chocolate cravings too. I just need to watch out because sometimes I can overindulge in healthy food! Below are the chocolate ones but I have also tried the carrot cake bars and those are really good too. The recipe is below for Chocolate Protein Bars but you can also watch Jamie make them here. I make these on the weekend and freeze about half of them. They need to be refrigerated or frozen as they have no preservatives.